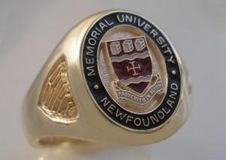 Styles and designs of rings can vary...please contact us at 709-722-5202 or toll free out of town at 1-800-205-6611 to request a custom quote or to order your ring. 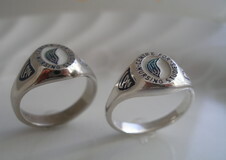 The average cost for a piece that we have molds and models for is between $390 and $525 plus hst in sterling silver. 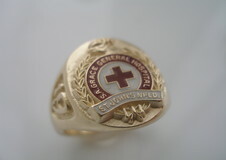 A 10karat yellow gold piece can can Start between $529 and $895 plus hst depending on the size and design. 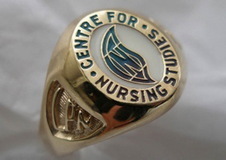 Group orders can feel free to design thier own ring using our models. There is no setup up-charge or design fee on group orders. Our designs and models are very unique and our desire to create one of a kind pieces is part of our mission statement. 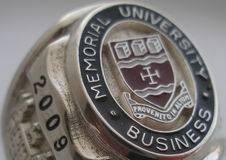 The molds and models for your group remain with Campus Rings ensuring your rings are one of a kind. 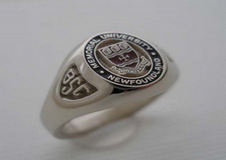 Made in Newfoundland Each piece is handmade on site by Stephen Vaughan the founder of Campus Rings. 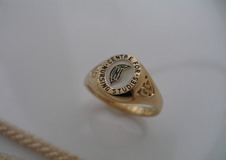 It can take as many as 12 to 14 weeks to have one of his rings made depending on the time of year ordered and the rings complexity. 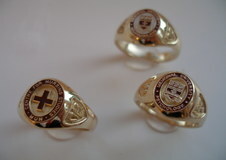 Please order early for fall or spring convocation. 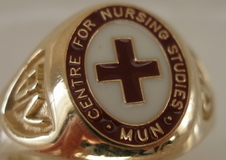 Rings not picked up after 90 days can be subject to refining. No refunds or exchanges on completed pieces. Deposits are non-refundable after 30 days. Use our ADD TO CART feature to request a quote.